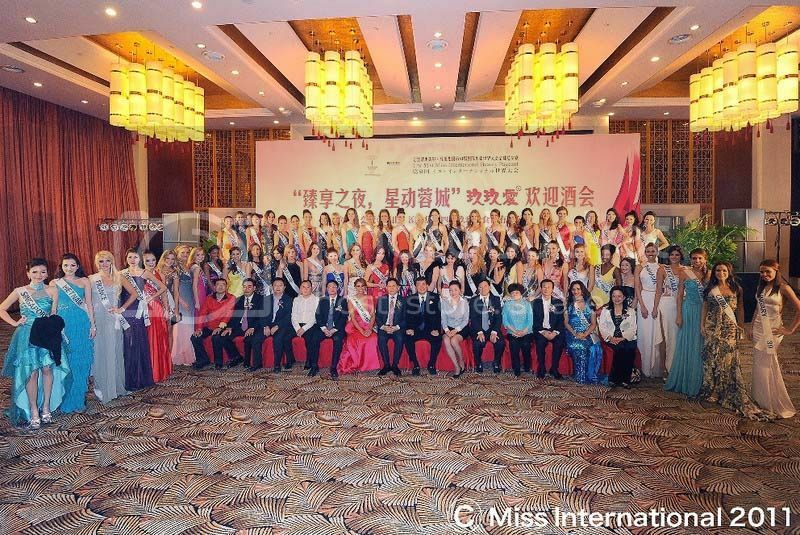 After the National Costume Competition on October 22, the 1st official event of Miss International 2011 pageant, the candidates changed into fashion or casual outfits for another outing. Afterwards, during the evening, they participated at the official welcome dinner held at the Sichuan International Tennis Hotel. 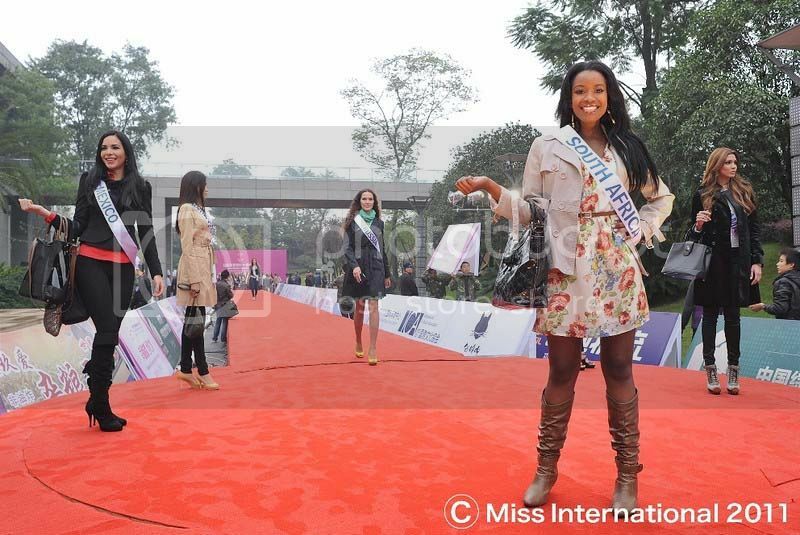 * Photo courtesy of Miss International.